Mending Fences is the first book in The Deacon’s Family series. How do the books in this new series tie in with The Bishop’s Family series? While I do believe that each book, even in a series, has to be a stand alone, Mending Fences does pick up the story of Luke Schrock heading off to rehab at the end of The Devoted (book 3 in The Bishop’s Family series). But wait! It gets even better. All my Amish fiction has been set in the same town of Stoney Ridge, so there are familiar characters coming on and off stage in every book. Mending Fences ties in very well with the Stoney Ridge Seasons series. Same farm, same main characters. Different story. Your most recent publications (Phoebe’s Light, Minding the Light, and The Light Before Day) have focused on Quakers during the 19th century. Mending Fences returns to your roots of writing about Amish families. Do you prefer specific time periods or religious groups in your writing? When in college, I took a sociology class on Faith-Based Communities. That subject grabbed me and wouldn’t let go. It still has me. I find communities of people who are trying to hold on to their traditions of faith (historically or present day) to be fascinating, full of untold stories and life lessons for the rest of us. Luke Schrock, one of the main characters in Mending Fences, is struggling to rebuild his reputation. Do you have any words of wisdom about forgiveness and what it takes to prove and redeem oneself? Luke returns to the Amish community to seek forgiveness, one by one, from those he’s hurt through his behavior. In a way, for the Amish, that’s the easy part. But Deacon Amos Lapp and Bishop David Stoltzfus insist that Luke not stop there. He must also ask each person how his harmful behavior affected them. That’s where things get sticky. Are there any other issues that you explore in Mending Fences? The concept of making amends is a guideline from the 12 Steps program of Alcoholics Anonymous. There’s something powerful in that effort, something that helps bring healing to the perpetrator as well as the victim. There are a number of charismatic individuals in your book. Do you have a favorite character? Two are especially endearing. Alice Smucker, a woman afraid of everything, and Teddy Zook, a man afraid of nothing. How did your original love for the Amish begin? My grandfather was raised Plain. As a young teenager, I was intrigued by the lifestyle of my German Baptist relatives. The more I’ve learned, the deeper my admiration has grown for Plain people. Just a few weeks ago, I sat on the back porch of an Amish bishop in Ohio. As we visited, his little grandchildren appeared to whisper something in his ear, then ran off. We talked about all kinds of things (this bishop is a wonderful storyteller as well as a listener). As I drove away, I felt that sweep of loving the Plain life all over again. It’s about as close to the Garden of Eden as you can get, this side of heaven. 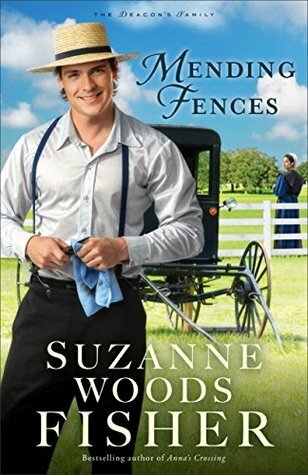 What do you hope readers gain from reading Mending Fences? The importance of true forgiveness that comes with the healthy resolution of conflict. On a Summer Tide, book 1 in the Three Sisters Island series. You might be surprised to learn that it’s neither Quaker nor Amish. But it is a charming community, set on a remote island in Maine. The town is in great decline, and a retired dad has bought it, named it for his three daughters, with hopes to bring his scattered family back together. I love to hear from readers and try to respond within 24 hours. 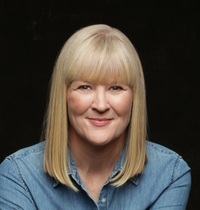 Here’s my website: www.suzannewoodsfisher.com. Readers can also connect with me via Facebook and Instagram at www.facebook.com/SuzanneWoodsFisherAuthor or my handle on Instagram is @suzannewoodsfisher.